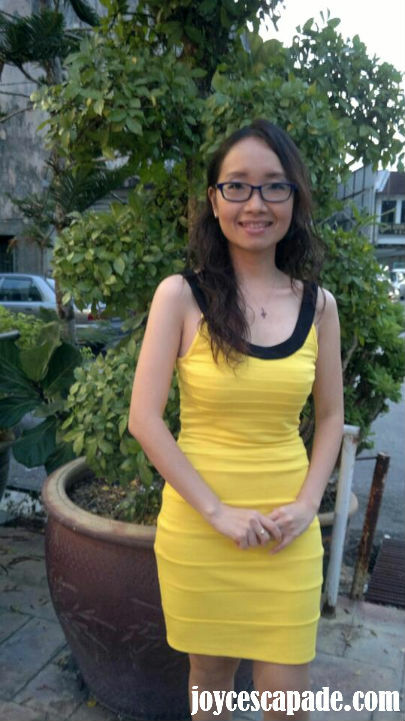 6 highlights from our road trip to Taiping last weekend. #1 - We traveled in a Toyota Prius. 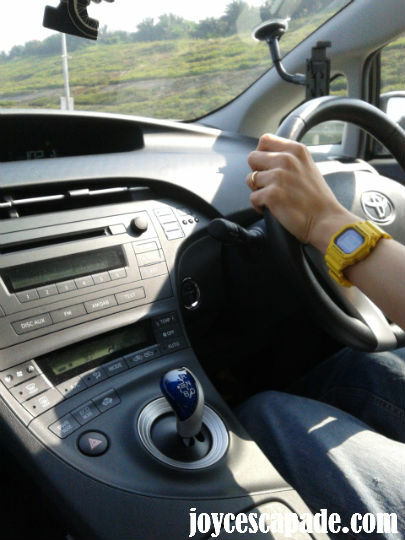 We started our journey around 1:30 p.m. and reached Taiping around 5:30 p.m. There were pockets of jam on the North-South Highway, particularly along the Slim River-Sungkai stretch. 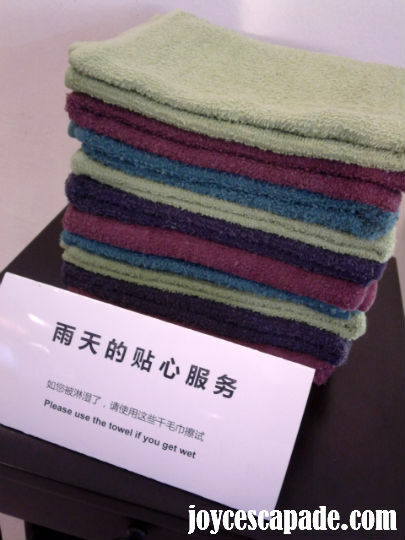 #2 - In a restaurant, we saw a stack of towels with a card that says, "Please use the towel if you get wet." Now, that's true hospitality in a wet town with frequent out-of-the-blue drizzles. #3 - We watched Total Recall as our first out-of-town movie at BIG Cinemas, Taiping Sentral. 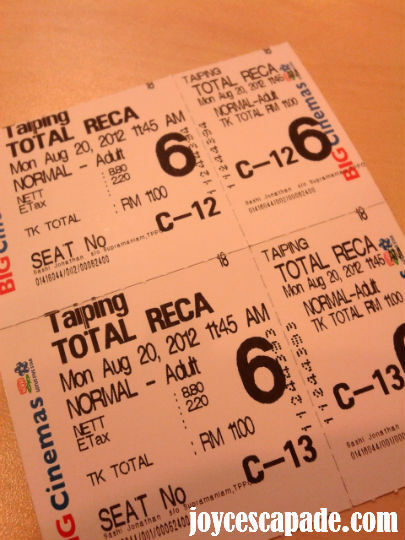 I think this is the only cinema in Taiping. 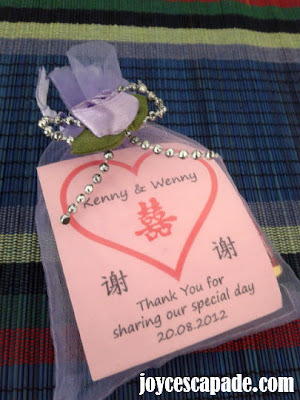 #4 - We attended Kenny & Wenny's wedding dinner. Kenny is the hubby's cousin. Wenny is Kenny's childhood friend and now they are husband and wife. Sweet! #5 - I love this yellow bodywrap dress that I wore for Kenny & Wenny's wedding. 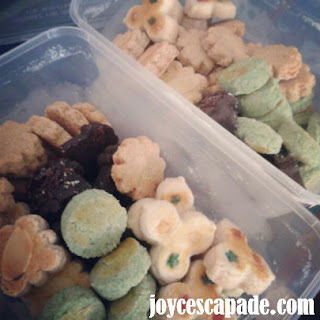 #6 - Raya cookies from my auntie. One of my uncles married a Malay lady who makes really delicious Raya cookies that melt in your mouth! Have you read Road trip 2: Singapore?